The Chertoff Group, a global security advisory firm that enables clients to navigate changes in security risk, technology and policy, has announced the appointments of Lee Kair, John Maguire and Sean Horner to its growing strategic advisory services practice. In joining The Chertoff Group, this group of professionals will apply their security expertise, technology insights and policy intelligence to help clients build resilient organizations, gain competitive advantage and accelerate growth, the company said. Lee Kair, managing director – Kair is a leading expert in security operations and equipment as well as a luminary in business, technical and policy issues. In his role as managing director at The Chertoff Group, Kair works with clients to develop growth strategies, identify market solutions and advise on policy implications across the transportation and homeland security sectors. He has more than two and a half decades of experience in the federal government, holding a myriad of leadership positions at the Transportation Security Administration, U.S. Department of Homeland Security, U.S. Department of Defense, U.S. Coast Guard and U.S. Air Force. John Maguire, managing director – Maguire is a seasoned expert in intelligence, security technology, product development, sales, corporate and business development. As managing director out of The Chertoff Group’s Menlo Park office, Maguire will provide strategic direction and operational expertise to help clients navigate the security landscape. Prior to joining The Chertoff Group, Maguire led business development and operations at several venture-backed cybersecurity and technology firms, including AlienVault, and served as a senior staff member on the Senate Select Committee on Intelligence. Sean Horner, director – With more than a decade of experience in enterprise security solutions, tailored security operations, physical/technical security, all-source intelligence utilization and facility security, Horner helps clients build, secure and maintain more resilient and competitive organizations. 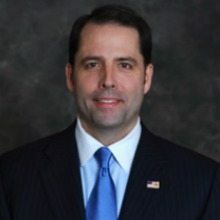 Prior to joining The Chertoff Group, Horner served domestically and abroad as a CIA officer and most recently as a corporate security manager for PAE, a global company providing critical support for essential missions of the U.S. government, its allied partners and international organizations. The Chertoff Group’s strategic advisory services practice leverages a highly differentiated approach for delivering strategic advice based on a unique understanding of the constantly evolving risk environment, the requirements necessary to manage and measure risk and risk management programs effectively and the solutions being developed to meet these needs in today’s marketplace. Core offerings – including comprehensive risk and organizational assessments; security risk advisory services; growth strategy; and thought leadership and strategic communications – enable clients to anticipate changing risks and build capabilities necessary to navigate today’s complex global threat environment.